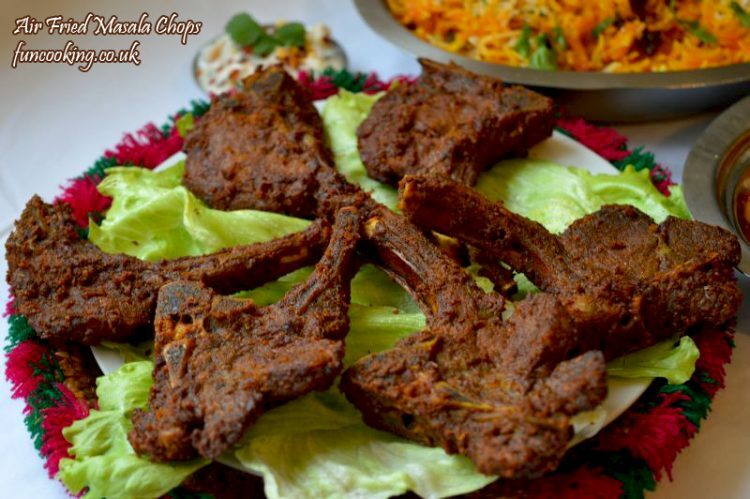 Air Fried Masala Chops. 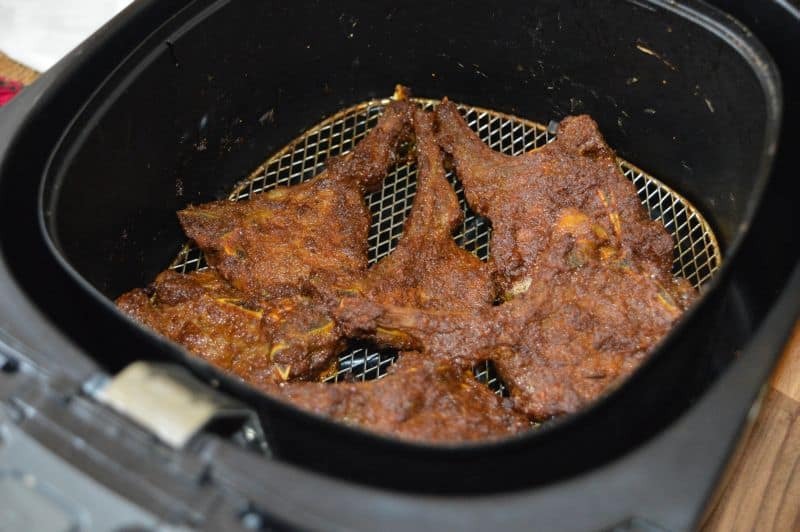 Another air fryer recipe in my recipes collection :). 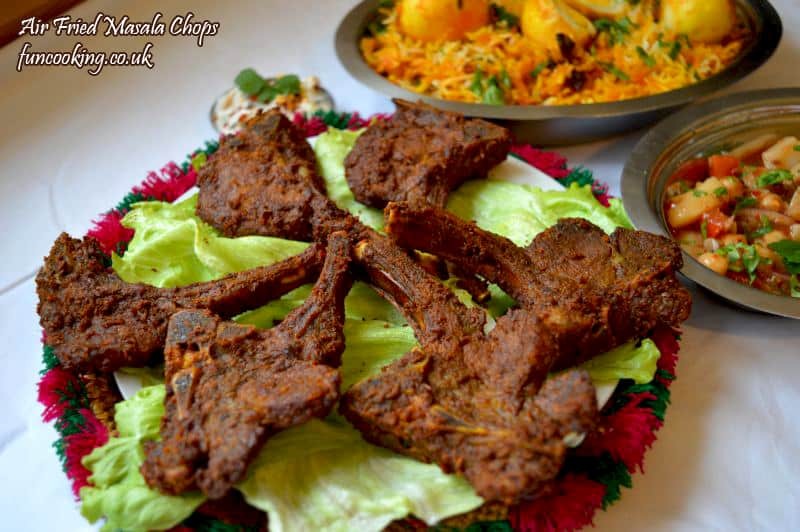 Simple cooked chops with spices then air fried, you can also cook them on a grill instead of air fryer. Heat 2-3 tbsp oil in pan/wok. Add 2 tbsp ginger garlic paste. Stir few seconds, do not burn it. 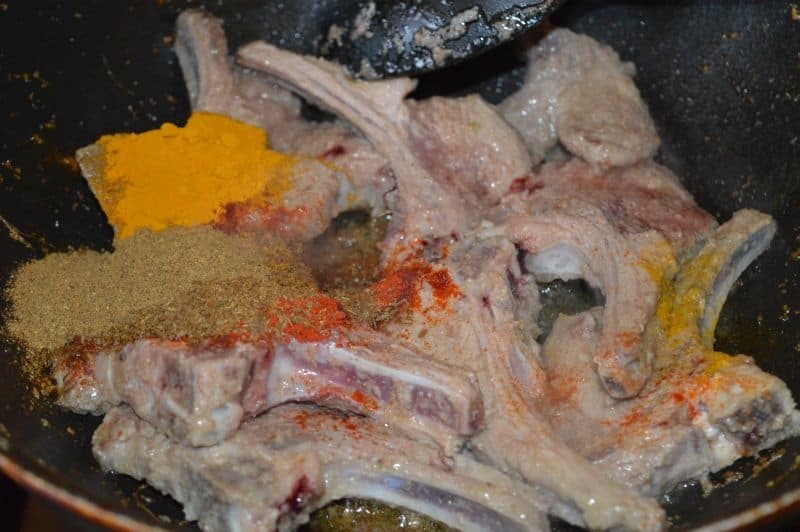 Add chops, cook until colour change and all extra juices from meat evaporate. 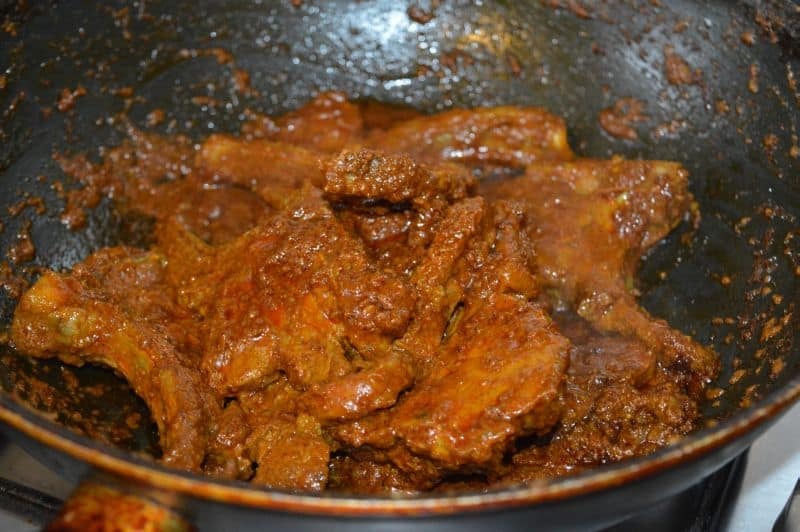 Now add all remaining ingredients from above list with some water and stir few seconds. Add 1/2 cup water and cook for 25 minutes almost. Turn the heat high and dry it. 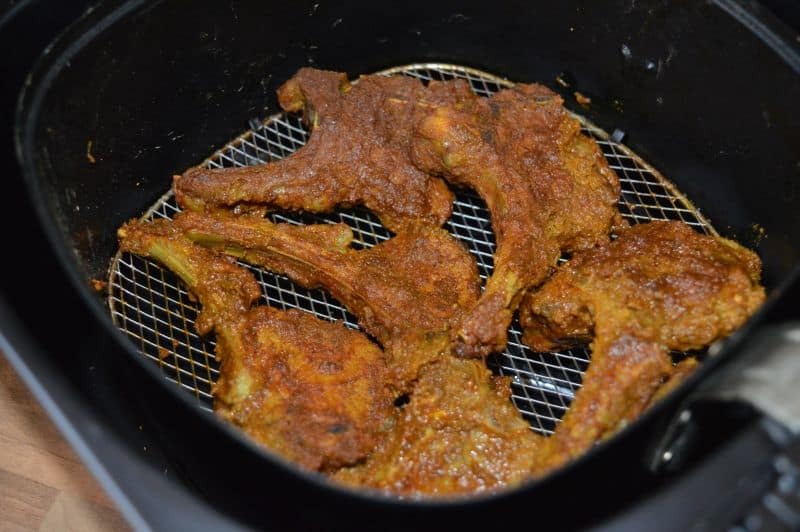 Now keep these chops in air fryer and cook at 180 C for 8-10 minutes. Done. Serve with any yogurt dip you like. 1, Heat a wok, add 2-3 tbsp oil with ginger,garlic paste. Stir few seconds. 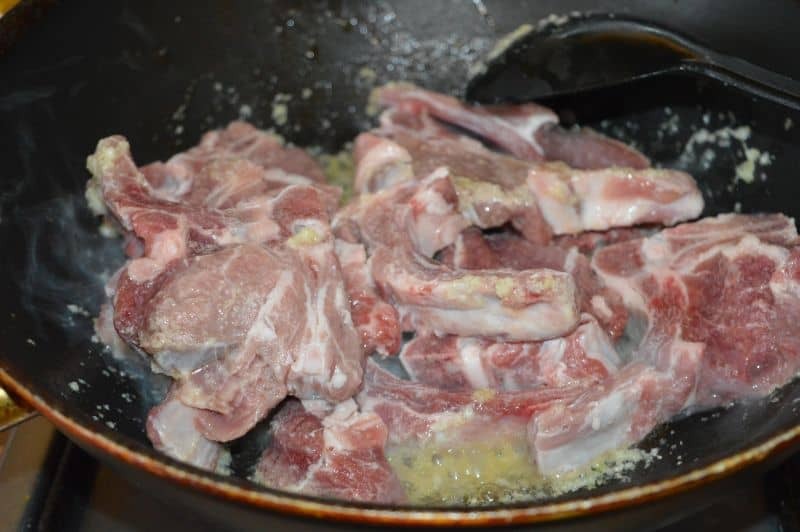 Now add chops. 2. 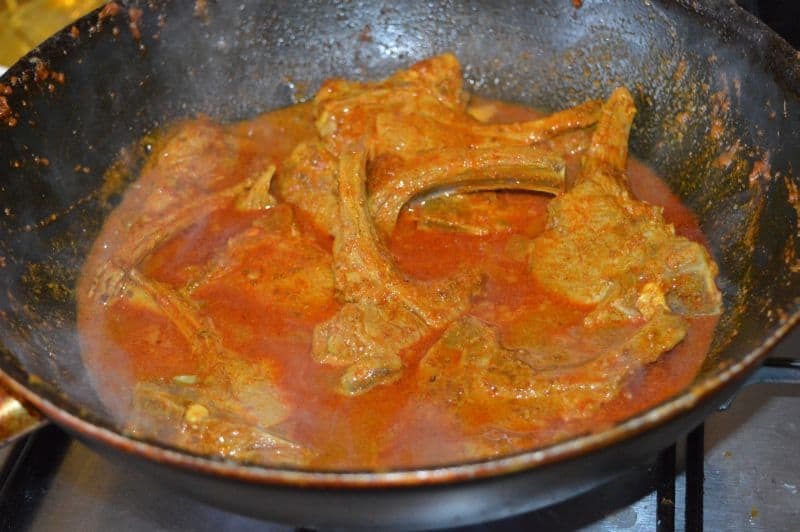 Cook them until colour change then add all remaining above ingredients with some water, so the spices will not burn. 4. Add 1/2 cup water and let it cook for almost 25 minutes. 5. After 25 minutes, turn the heat high, dry it. turn off the heat. 6. Keep these chops in air fryer. Air fried them at 180 C, for 8-10 minutes. 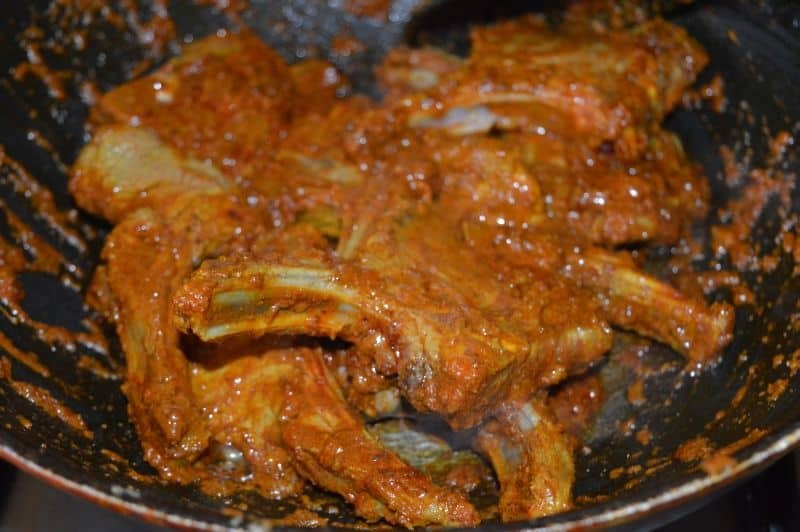 Air Fried Masala chops are ready.